An image from nature (by Sustainable San Mateo). 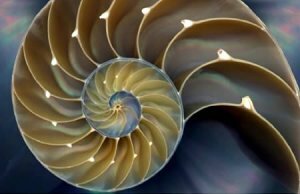 The golden ratio approximately (this is a topic for discussion) appears in here and is closely related to the Fibonacci sequence. Solving this problem by using a programming language is relatively easy and requires only looping through the sequence. How can you tackle this problem without the need for a computer? Spoiler alert: there is only one final step in which we will use a calculator. Scala is jet another programming language in the world of programming languages. Its first version was released in 2001 and was conceptually developed by Martin Odersky, a professor at the EPFL in Switzerland. Fun fact: one of his first projects was called Pizza and was a super set of the Java language. Later on, he developed Scala. The name and logo are easy to explain. First of all, Scala stands for SCalable LAnguage. Another translation: “Scala” means “staircase” in Italian. 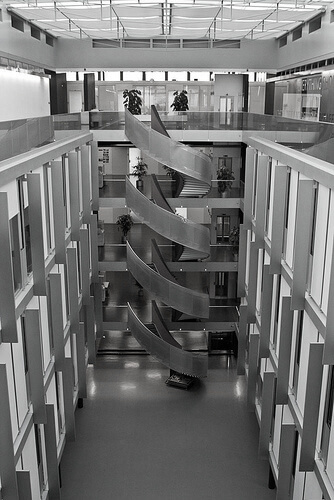 The logo is based on a particular staircase in one of the buildings of EPFL. Now we have had a decent introduction to Scala, we can start exploring the language itself. So what is Scala all about? The inspiration for the Scala logo.